DETROIT – This Frank Lloyd Wright house outside Ann Arbor is a small gem – just 1,300 compact square feet that soar to slanting layers of ceiling and glass and reach 25 feet high. Wright designed it in 1938 for a northern Wisconsin schoolteacher and her mother, but those clients never built it. Forty years later, a University of Michigan professor did, the late Frederick Haddock, a pioneer in radio astronomy. He visited Wright’s widow and petitioned for a never-used plan. It was the first time a new Wright house was built after the architect died, said Haddock’s widow, Deborah Fredericks. 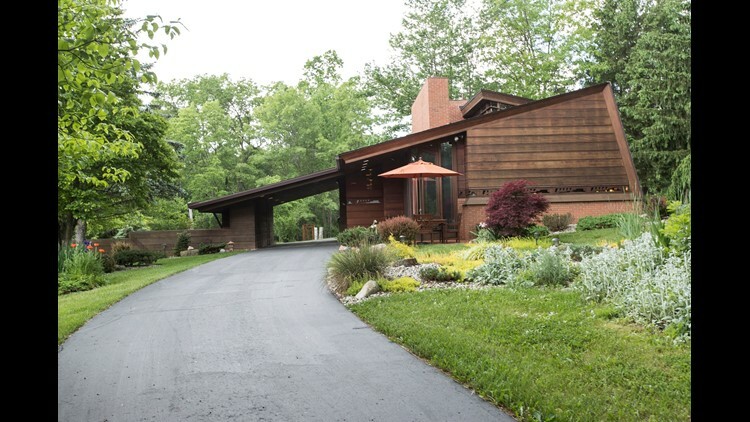 The lead architect from Wright’s Taliesin came to Ann Arbor, picked the land and oversaw the construction.